A very interesting biography. 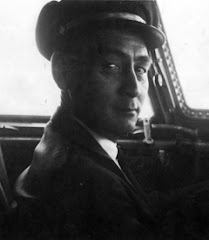 While other Alaskan pilot biographies focus just on flying adventures, this one presents just as fully a history of aviation and a history of Alaska. There are loads of photos as well: cultural, historical, and aeronautical. 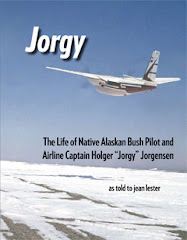 The tone and style of this book, which is pretty laid back, belies the risks Holger "Jorgy" Jorgensen took as he pursued a career in aviation in Alaska spanning approximately 55 years. … Some have commented this book is a little too laid back for them. But I think, if your interested at all in aviation, Alaska, or especially the combination, you can think of reading this book as sitting down on a cold night next to a pot-bellied stove and listening to a gifted raconteur rattle off one story after another.